Took this pic in M&D's at Strathclyde Park. 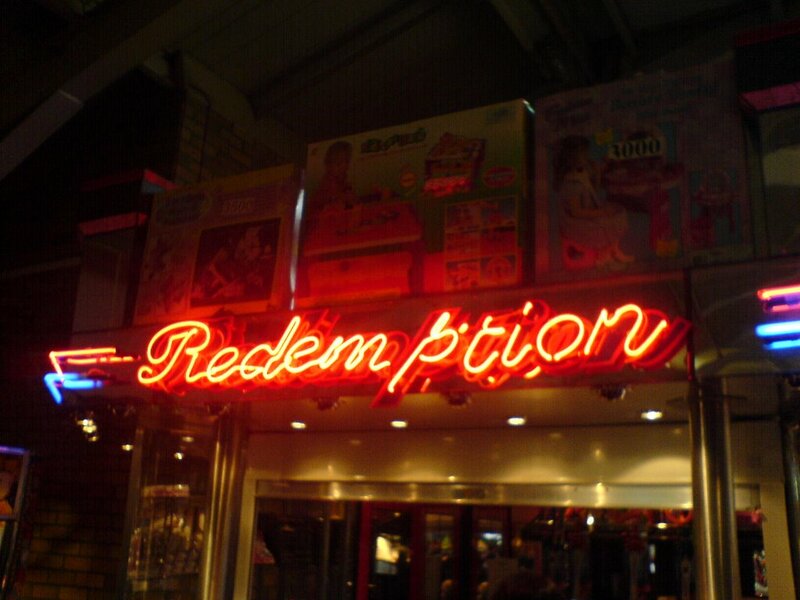 You play the games in the Amusements and win tickets - the amount depends on your performance - you then take these tickets and redeem them for prizes. Easter is all about redemption... but unlike the tickets in M&D's it has nothing to do with our performance :: only our belief. If we believe, we can take our broken, failed, selfish lives to God and He will change them :: redeem them :: for lives of worth, of value - selfless lives filled with love and hope. Good Friday had to happen so we can be redeemed. It is a sad time but it is also a joyful time. I love this photo. Awesome. If you don't mind I think I might use it in my easter message somewhere.